Yard waste, including tree sections and logs. Construction and demolition debris such as stucco, plaster, tile, sheetrock, and other types of remodeling and construction building materials. Bricks, concrete, asphalt, and dirt. Bulky items such as mattresses, appliances, carpeting, vehicle tires, and household furniture. And don’t overlook severe weather-related debris like shingles, branches, and windblown garbage, all of which can become a serious problem after a storm. From apartment, condo, and full-house clean outs to landscape clean-up, Junk King of Marin offers home and business owners the area’s most professional level of debris removal services. Our professional teams are committed to making the removal of debris from your property an easy and pleasant experience for all our customers. Residential debris and junk removal. Commercial debris removal that’s done in a clean, sustainable way. Electronic debris hauling, included recycling items such as computers, TV’s, DVD players, printers, mobile phones, and most items that contained electronic elements. From the very beginning, Junk King has been dedicated to removing debris in an eco-friendly manner, recycling, repurposing, or disposing of junk in an efficient and environmentally sound way. At Junk King, our employees are driven by the principles of hard work, dedication, and community service. They’re also highly respectful of your property, arrive when expected, and are fully licensed and insured. Wouldn’t you rather have our friendly and experienced teams take care of all your debris hauling so you can sit back and relax or devote yourself to other home or business needs? When you work with us to supply your home or business facility debris removal needs, we make sure it happens in a professional and efficient way! Why handle debris and junk removal and multiple trips to and from the local dump on your own? Contact us today to learn more about our fast, affordable, and dependable debris removal throughout Marin County. You can also text us a photo and book online. It’s the simplest and most effective way to remove debris from your home or business. This entry was posted in Construction Debris, Estate Clean-Out, residential junk hauling, rubbish removal marin and tagged Debris removal, estate clean-out, junk removal on March 5, 2019 by Julian Torres, "JT". Last updated April 7, 2019 . From tables, chairs, and desks to dressers, couches, sofas, cabinets, and bookcases, we handle just about any piece of furniture you have. 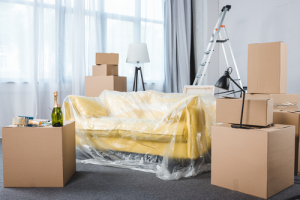 Many people try to handle their own furniture removal to save money. But without the proper equipment and safety know-how, they eventually end up spending more money than if they had hired the pros in the first place. Here are the top 3 benefits of hiring a professional furniture removal company like Junk King of Marin. Unparalleled expertise. We do things the old fashioned way. We’re committed to ensuring the safety of your home or office while we remove your old furniture. Our removal experts are fully trained in moving, loading, and unloading all types, sizes, and weights of furniture. And they use the latest equipment and tools to make sure the job is done quickly and cleanly. Saved time and no stress. Your crew will arrive with all the necessary tools and equipment needed to complete the job, including proper safety gear, dollies, and state-of-the-art trucks. Need to be out of your office or home by a specific date and time? We’ll make sure you never worry about getting the job completed on time and budget . You’re fully covered. Our furniture removal pros follow all safety guidelines and standards but on the rare occasion accidents can happen. Our teams are fully insured which means you’re never responsible for damages or injuries. At Junk King of Marin, we make furniture removal simple! After all, we have our stellar reputation to maintain! No home or office furniture removal job is too big or small for our teams to handle. Our trained professional crews and modern fleet of trucks ensure the entire process is a friendly and courteous one. If you’ve never used a professional furniture removal service before, you’re going to be thrilled with what a terrific experience it can be. Our goal is always to minimize disruption to your daily life while quickly and efficiently removing all your old furniture. Interested in an estimate beforehand? Try our online pricing estimator. To learn more about the benefits of hiring professional furniture removal services, get in touch with us today. We look forward to hearing from you! This entry was posted in Foreclosure Clean-Outs, Furniture removal, old furniture removal marin, residential junk hauling and tagged junk removal marin, residential junk hauling, waste removal marin on February 19, 2019 by Julian Torres, "JT". Last updated April 7, 2019 . If you take a look at our website, you’ll see the Junk King loves to call itself an environmentally friendly Marin – Garage Cleanout service. We make sure that whatever junk you’re getting rid of in your garage that can be recycled gets to where it’s going. Not only that, we have a keen eye for what can be donated and used again. The goal is to make sure that we lessen your carbon footprint and do our part to keep the planet green. If you take the time to look around your garage at the stuff that’s been collecting in there for years, you’ll see that most of it can be tossed. That’s why we have an excellent Marin – Garage Cleanout service to serve you. Most of the flat screen TVs that are sold today are too big to put in your car when it comes time to get rid of them. We’ve been in business since 2005 in that time we’ve seen our fair share of televisions that have been stored in a garage and forgotten. Not only will our Marin – Garage Cleanout services cart them away, we’ll make sure whatever can be recycled gets put in the right place. One of the reasons that we have an industry-leading reputation is the fact that we keep everything simple. It all boils down to the fact that we supply an efficient service and value to each and every one of our clients. We’ve also seen our fair share of refrigerators and stoves stored in a bigger garage after the family has bought new ones. At Junk King, we understand how daunting getting rid of those old appliances like washing machines and refrigerators can be. Even if you’ve got a vehicle that you can put them in like a pickup, it can be overwhelming to try and find out where they need to go to be properly disposed of. 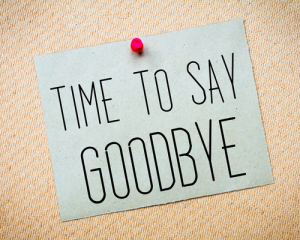 Our Marin – Garage Cleanout services take all the hassle of whole experience for you. We donate what we can and recycle what can go to our central hub. Keeping as much as possible out of landfill is always our focus. If you’re looking for Junk King Marin – Garage Cleanout that you can trust and is affordable, call or click online today. This entry was posted in junk hauling, junk removal, junk removal marin, residential junk hauling on February 7, 2019 by Junk King. Last updated April 7, 2019 . Proper TV disposal is crucial for the protection of the environment. Therefore, if you are planning on replacing your old unit with a newer model, it is important to look into the best options for dealing with the electronic waste. Remember, choosing to casually toss your old electronics can be highly detrimental. The unwanted product could end up contaminating the environment because the parts of the television are not biodegradable. In addition, you will contribute to the irresponsible use of landfills. Fortunately, there are numerous methods to consider for handling your old electronic. Here are some essential tips for responsible disposal of television sets. Electronic waste handling is becoming a major problem around the globe. In general, most individuals want newer and better models, and people do not think about the units they intend to discard. However, in the recent years, more businesses are gaining an interest in managing old devices, including televisions. There are programs in place which allow the return of the electronic to the vendor or manufacturer. The old components can be repurposed for use in newer models, minimizing the waste in landfills. Therefore, check if there are suitable voluntary take-back programs in your local area. If your unit is still working but you do not intend to continue using it, consider donating instead of direct TV disposal with the trash. Your old and outdated television model might look useless to you, but it might be the treasure that someone else needs. This practice can help in minimizing the impact of e-waste on the environment. In addition, it is possible to get write-offs for your charitable donation. You should look into local organizations and choose one that accepts electronics donations. Moreover, you should note that there might be restrictions on acceptable models. If you are looking for funds for a new TV, selling your old model might be the answer. Some individuals and businesses will purchase old electronics for different purposes. Some will repair the units and resell for a higher price. There are also people who love collecting old electronics for personal interest. Selling an old TV in your neighborhood can be difficult. Therefore, consider posting an ad online in relevant sites and forums. If your TV is not intact or reusable, recycling is the best option for you. Like other electronics, televisions contain some metals and other materials which are quite valuable. Under ideal circumstances, about 96% of the components in a unit can be recycled. These materials can be reused in manufacturing processes in the industrial sector. As a result, the burden on the non-renewable natural ores will be reduced, ensuring environmental improvements. Finally, there are few options to consider if you are set on directly disposing your TV and avoiding all the trouble. In some areas, it is acceptable to obtain curbside pickup for large electronic units like your TV. However, there are often additional fees imposed for the special collection. The alternative method is to bring your TV forward during the bulk collection day. If you would like more convenience, you can hire a dumpster or engage a junk removal service. 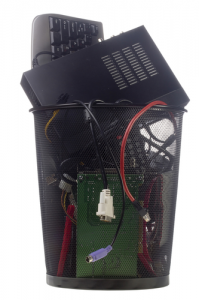 The collector will pick up your electronic at a specific price and manage the waste through disposal or recycling. Contact us for more information. This entry was posted in Electronics, Estate Clean-Out, e-waste and tagged eco-friendly, electronics, e-waste, foreclosure clean-outs, furniture removal on January 21, 2019 by Julian Torres, "JT". Last updated March 22, 2019 . Your average bed weighs about 150 pounds and your average couch weighs, get this, 350 pounds or more! That’s too much to lift on your own. You need professional furniture removal. Even if you can lift that much weight with your friend, safely getting a piece of bulky furniture like that out of your home or apartment will be a real chore. Why risk injury or doing some serious damage to the walls when you have a nearby furniture removal service like Junk King at your beck and call? Plus, Junk King is eco-friendly and cares about the planet as much as you do. Junk King takes an average of eight full truckloads of recyclable material and refuse to its warehouse every day. About 60% of that material is recycled, reused, or donated. That’s pretty impressive when you consider the fact that Junk King does foreclosure cleanouts, office cleanouts, and construction waste removal in addition to furniture removal. It all goes to show that one person’s junk is another’s treasure and that just about anything can be repurposed into something useful down the line. Junk King will take darn near anything except for hazardous waste. That means that if you’re staring at a gargantuan credenza or bulky office desk that Junk King can break it down and take it away. Junk King handles all aspects of furniture removal: breakdown, removal from your home or business site, haul off, and starting the reuse and recycling process. That’s furniture removal made easy. Ottomans, futons, and huge bedstands are clearly candidates for professional furniture removal if you no longer have a use for those pieces. Executive desks, cubicles, and wall units can also be broken down by professionals and safely hauled out of the workplace to make room for newer furniture and equipment. Junk King takes side tables and coffee tables as well as outdoor patio furniture that’s overstayed its welcome on your back porch. Why put up with the sight any longer? The state of California has special rules about “illegal dumping,” which can be defined as simply leaving your old couch out on the curb without a license or proper scheduling with a waste management service. Scheduling an appointment with Junk King, though, removes all of the stress from furniture removal and having to break down old furniture. And when you use Junk King every effort will be made to ensure that your furniture is recycled, reused, or donated to reduce your carbon footprint. Household furniture comes in a lot of different forms from plastic and wood to fabric or other kinds of synthetic materials. 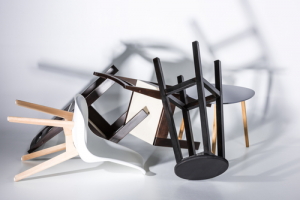 You’ll want to figure out what your furniture is primarily made of before recycling it. Of course, you could just rely on Junk King to make that call for you. But basically it’s not that hard to understand. Furniture with a metal base, for instance, might be recyclable. On the other hand, scrap metal dealers will fall over themselves to get at it. The cottons, linens, and leather that went in to your couches and other pieces of furniture can likely be recycled (cottons and linens) or reused to make things like clothes (leather). Other pieces of your old furniture can be recycled or reused. The wood in a bedstand, for example, can be recycled or reused to help prevent the growing problem of deforestation. These are serious issues that require a conscientious approach. Junk King is America’s greenest junk removal company and committed to green furniture removal. Contact us for more information. This entry was posted in Foreclosure Clean-Outs, Furniture removal, garage cleaning and tagged foreclosure clean-outs, furniture removal, furniture removal marin, junk hauling on January 3, 2019 by Julian Torres, "JT". Last updated January 14, 2019 . Hiring the professionals to take care of all of your junk following a big move or cleanout makes a lot of sense. Professional hauling services are on your schedule, and experienced junk haulers come with the right tools the first time out. When it comes to finally getting around to cleaning out the garage or tossing old furniture, you might run into a wall (hopefully not literally). You might be tempted to go it alone, but do you have the tools, experience, and resources to handle the job yourself? A lot of people who finally get around to throwing out their old television or couch are met with a number of problems. How do you safely get the thing down the stairs? Is your friend free on Wednesday? Does that person have a truck? The biggest question of all might be, where do you put something like a television or other kinds of electronic waste if you’re concerned about the environmental impact of toxins leaching into the soil? Junk King is proud of its reputation as America’s greenest hauling services company. On average, as many as eight truckloads of recyclable material and other kinds of refuse make it to Junk King’s massive warehouse every day for sorting. That’s step three: The first step is getting the junk out of your home, and the second step is hauling it all away. Neither of these is a no-brainer if you haven’t done this kind of thing before or if you don’t have a weight-bearing vehicle at your beck and call. The beauty of hiring Junk King for all of your hauling services is that they’ll send the right amount of experienced (and insured) hauling services pros and the right amount of industrial-sized trucks to carry out the bulkiest, heaviest items that you have. Renting your own dumpster sounds pretty good, right? Well, there are a few things you should know about that. With dumpster rentals you usually rent it out for the entire week, even if you only use the dumpster for three days. You still wind up paying for the whole week. With Junk King you only pay for what you need and most hauling services can be done within the space of a few hours. In fact, you can call, send a photo of your junk, or book an appointment online after using the online pricing estimator to ballpark the cost. The costs of having a dumpster for a whole week can also be prohibitively expensive for many homeowners. Why would you want a dumpster for a whole week anyway? Another thing that you should be aware of is that the state of California may require a permit to have a dumpster near your home. Instead of worrying about where the heck your dumpster rental company is going to dispose trash and electronic waste (e.g., old televisions and printers), call on local hauling services to responsibly discard everything for you. Junk King even works with businesses that need construction debris or storage material responsibly discarded. The best part is that Junk King promises to beat any written estimate and offers both onsite and online pricing. Book online right now and save $20 on your next appointment! This entry was posted in Estate Clean-Out, junk hauling, junk hauling companies, junk removal, junk removal marin and tagged commercial junk hauling, foreclosure clean-outs, furniture removal marin, junk hauling, junk hauling companies, junk hauling services marin on December 20, 2018 by Julian Torres, "JT". Last updated December 23, 2018 . If you are planning on conducting major landscaping work on your property, you will need to think about garden waste collection and removal. It is important to plan for the management of rubbish before the project begins to avoid leaving a mess of grass clippings, shrub trimmings and weeds. Remember, if these materials are left carelessly on the ground, they will decompose and compromise the appeal of the landscape. Here are your primary options for managing general garden waste if you are set to begin your landscaping tasks. Composting is an ideal method for dealing with garden waste. This process is eco-friendly and can benefit your garden and general landscape. As implied, composting involves turning the biodegradable green waste into nutritious soil materials. 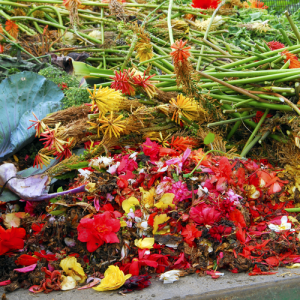 The compost produced at the end of the process can be utilized as fertilizer for the garden or the lawn. While composting is a good option for dealing with garden waste, it might not be suitable in most situations. The composting procedure is tedious and requires constant monitoring of temperature and moisture. Moreover, composting materials stink and tend to attract pests. It is possible to handle garden waste collection and disposal personally. In simple terms, you can gather the rubbish resulting from your landscaping work and take it to an appropriate dumping center. This method is favored by people who do not want to rely on professional help. However, you should not that this process is not as simple and cheap as it might sound. It takes a lot of time and effort to collect garden waste. You will also need to look for appropriate transportation for the materials, and there will be a dumping fee at the chosen center. The total cost of this option will depend on the volume of waste. 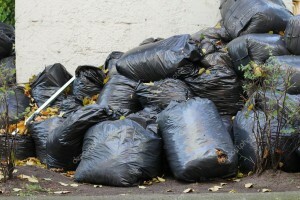 The most efficient process for dealing with your garden waste is choosing a specialty collection and disposal service. This option provides the best benefits in terms of cost, time-efficiency and simplicity. In general, the waste service company will provide a container in which you will place your garden waste. You can choose the most appropriate container size, depending on the volume of the landscaping waste. The container can be kept for a predetermined period of time to allow enough time for loading. Once the bin is filled with rubbish, the service provider will pick it up and dispose of the waste on your behalf. This simple and clear process guarantees responsible handling of the garden waste. The collection and management of garden waste does not need to be complicated and time-consuming. You can make the process easy and direct by relying on professional disposal instead of struggling with personal handling or hiring a man with a truck. If you would like to learn about the proper waste management practices and services, consult our experts at Junk King Marin for more information. This entry was posted in Foreclosure Clean-Outs, Garden Waste, junk removal, junk removal marin and tagged green waste, household waste, junk hauling, junk hauling companies on December 6, 2018 by Julian Torres, "JT". Last updated January 15, 2019 . They’re heavy and awkward and difficult to get rid of. Is it any wonder that you see so many mattresses abandoned on streets, in alleyways, and along the highways? Not so long ago, mattress disposal was a challenge, but today you have plenty of ways to dump the old bed and help the environment at the same time. Junk King of Sacramento can help ensure your unwanted mattresses are properly disposed of. Illegal dumping of mattresses is a costly and now unnecessary burden for local governments, costing them up to $70 million per year. Yet even when people tried to do the right thing by bringing their old mattresses in for recycling, they were hit with fees ranging anywhere from $20 to $90. In 2014, SB 254 was enacted in California, requiring mattress manufacturers to offer consumers the option of having their old mattress taken away when a new one is delivered. You can also handle mattress disposal yourself, dropping off your old mattress at a participating no-cost collection site or recycling facility. 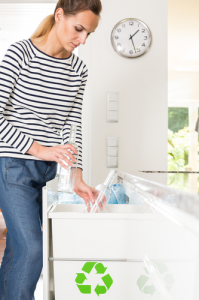 Is there a participating recycling center near your home? Do you have a vehicle large enough to transport one or more mattresses to a center? Are you willing to risk straining your back or suffering another injury when trying to dispose of one or more 50-pound mattresses yourself? Junk King of Sacramento is the company you can trust for fast, friendly, and professional mattress disposal. It’s the perfect partnership. Did you know that 80 to 90% of mattress components—as long as they’re properly separated—are recyclable? It’s true! In fact, many mattress materials, such as steel springs and polyurethane foam, have value. And since mattresses don’t compact well, you can help save a lot of landfill space by recycling. Since the mattress recycling program in Sacramento was launched in December 2015, an average of 2,000 mattresses per month have made their way to a recycling center. The material removed from these old mattresses has been used to produce items like appliances, textiles, and industrial materials. Junk King of Sacramento was the first mattress disposal service in the area to invest in eco-friendly practices and we love doing our part to help divert recyclable materials from landfills! Using a professional mattress disposal service like ours makes getting rid of your old mattresses a quick and easy process. We want you to think of us as your partner in keeping Sacramento’s streets, highways, and parks cleared of improperly disposed mattresses. Let’s keep Sacramento beautiful together! Whether you need our junk removal services for a full house clean-out or just have a collection of old mattresses you’ve been dying to get rid of, contact us today to discover just how easy mattress disposal in Sacramento can be. We offer the area’s lowest rates, exemplary customer service, and the eco-friendliest process in town. This entry was posted in Estate Clean-Out, Foreclosure Clean-Outs, Furniture removal, Mattress, old furniture removal marin and tagged foreclosure clean-outs, junk removal marin, mattress disposal on November 21, 2018 by Julian Torres, "JT". Last updated December 9, 2018 . Did you know that California leads the nation in electronic waste policies? It’s true. The state is the only one in the country that has successfully curbed the illegal E-Waste disposal and export of toxic electronics like computer monitors, mobile phones, TVs, and laptops. Junk King of Sacramento is proud to be a part of keeping the environment safe and clean. Our E-Waste disposal services are second to none when it comes to protecting our local communities while safeguarding the planet for future generations. 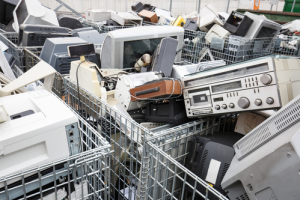 Isn’t it great to know that the hundreds of thousands of electronic pieces of junk California residents get rid of each year is being disposed of in a way that’s right for the planet? Since California enacted the Electronic Waste Recycling Act of 2003, there’s been a robust collection process in the state that has resulted in over 2 billion pounds of unwanted electronics being recovered and recycled! But there’s still much work for consumers to do. As the electronic waste stream becomes even more complex, challenges keep arising for the recycling industry. That’s why we encourage our customers to view recycling and repurposing E-Waste as a philanthropic service that betters the environment for everyone. Since 2005, Junk King of Sacramento has been a leader in green-based junk removal services. We’ve risen to the challenge of helping to keep California the leader in electronic waste management. We provide a safe and eco-friendly E-Waste disposal system that frees you from the worry and stress of disposing of electronics yourself. And because we’re a leader in E-Waste disposal, we ensure every one of your old electronics ends up in the right place. Whether it’s recycling or repurposing, our and our partners’ complete E-Waste disposal services are in strict compliance with California’s EPA and DTSC guidelines. No matter what type of E-Waste you need to dispose of, we offer superior value, service, and results on every job we do. Our skilled and friendly teams know how to quickly and efficiently remove all your E-Waste items. We’re all extremely proud of our commitment to our customers and the planet. If you reside in the Sacramento area and are in need of a socially responsible E-Waste disposal company that offers quality and friendly disposal services for electronic waste, Junk King is the solution you’ve been looking for! Why not give us a call, text us a photo, or book an appointment online today! This entry was posted in Electronics, Estate Clean-Out, e-waste, Foreclosure Clean-Outs and tagged commercial junk hauling, computers, electronics, e-waste, foreclosure clean-outs on November 7, 2018 by Julian Torres, "JT". Last updated November 20, 2018 . 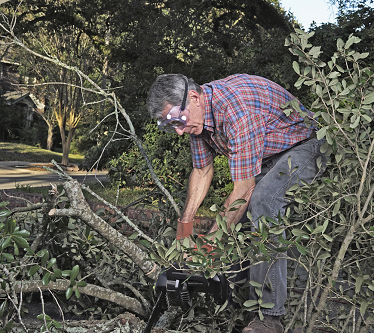 Yard Debris Giving You a Headache? Get a Free Estimate for Professional Debris Removal! Yard debris, sometimes called green waste or agricultural waste, includes things like grass clippings, flower cuttings, and hedge trimmings. Unlike e-waste, most of your yard debris is biodegradable and able to be broken down into simple organic byproducts or even used as compost to help grow healthy soil and more plants. Still, debris removal is definitely one of the most requested services at Junk King, especially when folks have a half dozen or more large trash bags overflowing with leaves at this time of the year. Calling local sanitation or bringing yard waste to the dump isn’t really the best option because your green waste might not go to the best use and wind up further clogging a landfill somewhere. Most people don’t even have the cargo space in their car to bring it all to the dump in one trip anyway. Another option is renting a chipper, but that option’s fraught with its own hazards if you’ve never broken down yard waste like this before. And then there’s the expense – chippers can cost hundreds of dollars per day to rent. That leaves professional debris removal. This is usually a more affordable option than a chipper, and an eco-friendly junk removal service like Junk King is dedicated to responsible recycling and reuse wherever possible. Junk King takes a whole host of items loosely categorized under yard waste. Debris disposal includes green waste that you’d associate with landscaping work or weekend projects as well as leftover debris from home renovations. On the greener side of things, yard debris removal at Junk King includes: branches, clippings, tree stumps, extra soil and sod, and all kinds of landscaping debris like grass and bush clippings. Junk King takes other kinds of yard debris as well. Waterlogged lumber, leftover plasterboard, corrugated iron, shingles, frames, fencing, and old windows can all be conveniently hauled off in terms of yard debris removal in one of Junk King’s huge trucks that feature 20% more volume than competitor’s and a guarantee to beat any written estimate. Having your old lumber and timber – lumber is sawed and cut whereas timber is rougher wood stock or even an entire tree - taken off your hands shores up room in your yard and could even lend a helping hand to the environment. Recycling and reusing old wood means less deforestation since less new timber needs to be cut for the same job. The nice thing about having your lumber and timber taken by Junk King is that it can be used for other construction projects or even broken down and used for wood chips (an organic mulch) in the future. Environmentally, California has made it illegal to burn wood on certain days because doing so could harm human health – through people breathing in too much of the fine particulate matter that the fumes let off – and harm the environment. Junk King is tirelessly committed to doing the right thing and takes green debris removal and environmental conservation seriously. Raked leaves can be used again as mulch if you don’t have the time, inclination, or green thumb to make that happen yourself whereas grass clippings make a very usable mulch for garden beds. Junk King can remove as much yard debris – including plasterboard, stubborn tree trunks, cut-down bushes, fencing, windows, shingles, and corrugated iron - as you want. Here’s where you can book online and save $20 on your next yard debris removal appointment. Junk King is a full-service yet environmentally conscious junk removal company. This entry was posted in Estate Clean-Out, residential junk hauling, rubbish removal marin, trash removal\, waste removal and tagged residential junk hauling, trash removal, waste removal, waste removal marin on October 24, 2018 by Julian Torres, "JT". Last updated October 26, 2018 .